If you've followed our reviews for the past year, it was probably evident that the Galaxy S6 was one of the best phones launched last year. With one of the better designs in terms of camera, the first 14nm SoC, and a great AMOLED display, there was a lot to like, and consequently it's no surprise that it was one of the best selling Android phones for 2015. With six iterations of the Galaxy S behind them, Samsung has done a lot over the years to improve the line, however even the S6 wasn't perfect, and there were still issues that kept it out of the running from being the best possible phone that it could be, which Samsung is looking to address head-on with the new S7. For many, these issues included the lack of expandable storage, a perceived lack of battery life, and a reduction in dust and water resistance. 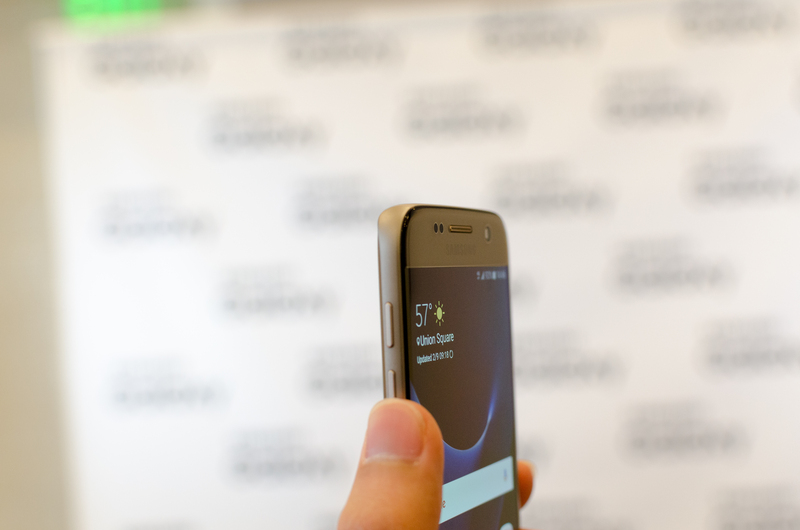 Samsung Pay also had the potential to be a selling point for the Galaxy S6 at launch, but due to delays early adopters had yet to see the benefits of Samsung Pay. Even if I never found the camera hump to be an issue, a number of people complained about this issue as well. 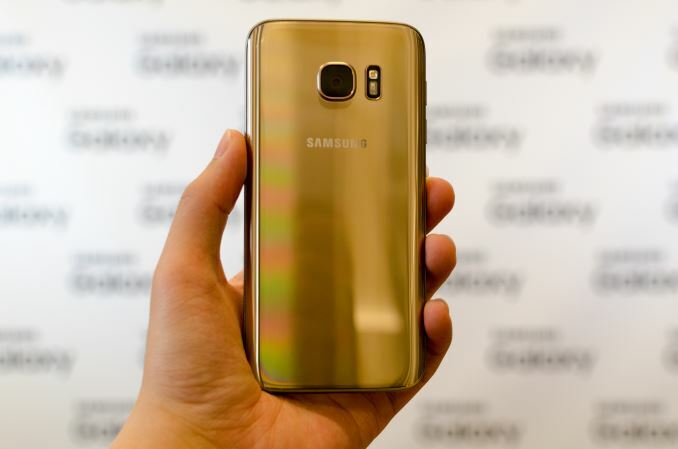 With the Galaxy S7, it’s clear that Samsung has taken many of these criticisms to heart as the Galaxy S7 extends the Galaxy S6 design in many areas while resolving many of the criticisms that were leveled at it. To understand the full extent of the changes seen in the Galaxy S7, we can start with some of the basic specs. At a high level, almost everything outside of design has seen some major changes. For the US variants, the 2.15/1.6 GHz Snapdragon 820 represents a return to a custom Kryo CPU architecture and a new GPU with support for Vulkan. For most regions, the Exynos 8 means a move to Samsung Systems LSI’s first custom CPU architecture in a shipping mobile SoC. In both cases, we’re looking at Samsung’s 14nm LPP process node which should provide an appreciable increase in circuit-level performance as the taller fin means better control over the channel to reduce leakage and improve drive strength, and improved silicon straining should also result in higher maximum clock rates at the same power draw due to improved carrier mobility. 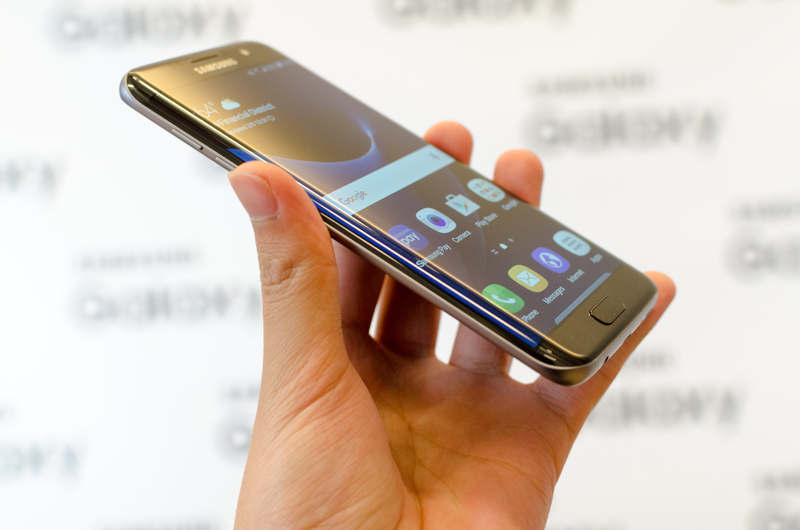 The Galaxy S7 also bumps RAM from 3GB to 4GB which should help reduce the rate at which applications are evicted from memory and improve multitasking performance. 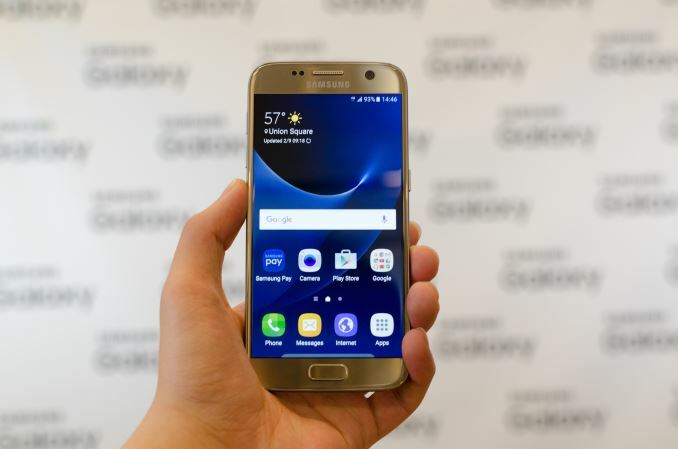 In a move to address all of the criticisms mentioned at the start of the article, Samsung has re-introduced microSD on the Galaxy S7, the battery size has jumped 18% from 9.82 to 11.55 WHr, Samsung Pay is now truly ready for users from day 1, the camera hump has been reduced by making the phone roughly 1mm thicker, and the Galaxy S7 is now water and dust resistant, rated at IP68 which means it is completely dust tight and can be submerged in at least 1m of water for an indefinite period of time. The IP68 rating is also accomplished without the use of any port covers, which is really quite a feat of engineering. I wasn’t able to test this water resistance in depth, but placing the phone in some shallow water and sprinkling water into the USB ports and headphone jack didn’t noticeably affect the device. In addition to the laundry list of changes above, we see a move to better WiFi with support for MU-MIMO, and a refinement of the industrial design first introduced with the Galaxy S6. Instead of flat glass leading to a metal edge on the display, the display is now covered with 2.5D rounded glass edges which improves the feel of the device when doing edge swipes. 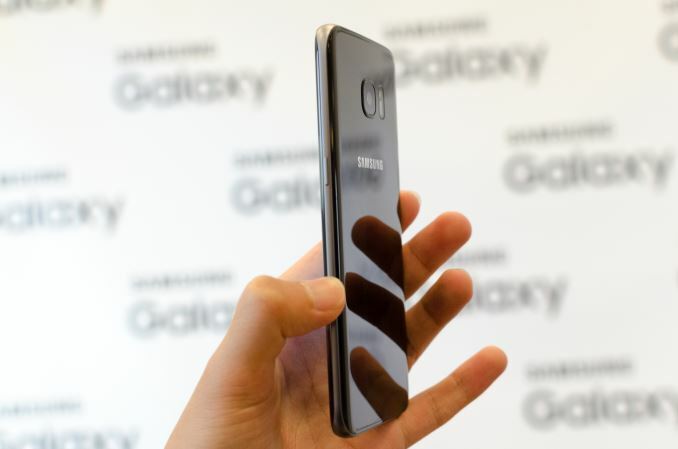 The back glass of the phone is also 3D with curved edges as well to improve the in-hand feel which helps to make the phone feel thinner than it really is. 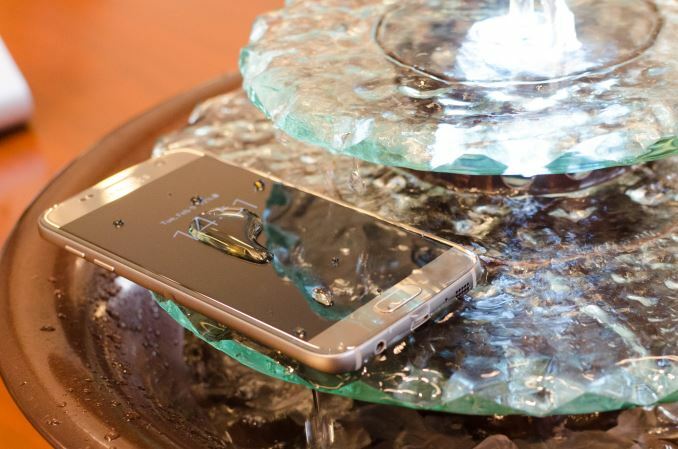 However, I definitely noticed that the Galaxy S7 is easier to slide around on tables, so I suspect a case and screen protector will probably be necessary for those that intend to keep this device for long term use. 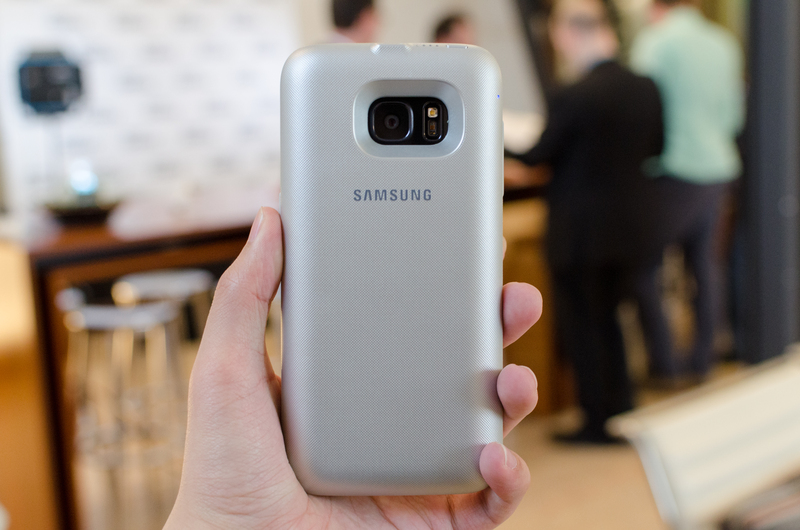 While all of this is great, the single biggest change from the Galaxy S6 to S7 is going to be the camera. 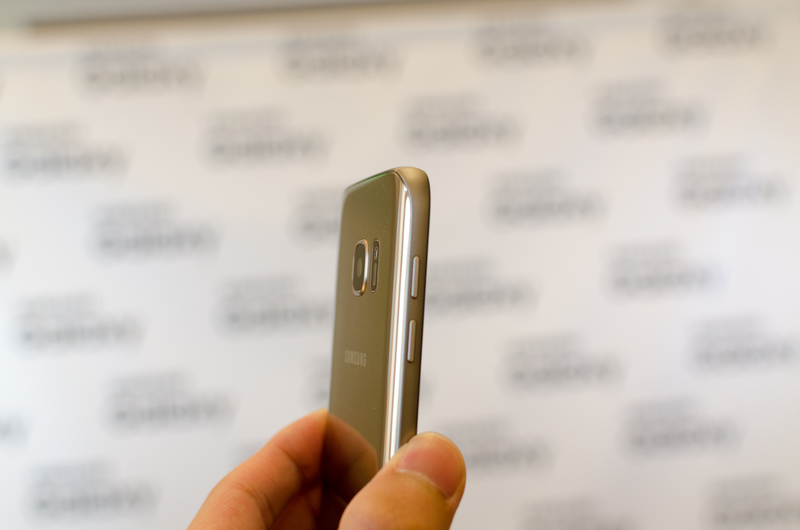 With the Galaxy S6 review it was hard to avoid wondering why Samsung didn’t bother to integrate a camera with larger pixel size to improve low light performance, especially when camera was such a significant part of the Galaxy S6 design story with the noticeable camera hump. With the Galaxy S7, Samsung is taking a rather bold step with a move from the 16MP, 16:9 aspect ratio sensor of the Galaxy S6 to a 12MP 4:3 aspect ratio sensor in the Galaxy S7. While sensor format is roughly unchanged at 1/ 2.6”, the pixel size is now 1.4 micron which should significantly increase the number of situations where the image quality is limited by shot noise rather than image sensor noise. 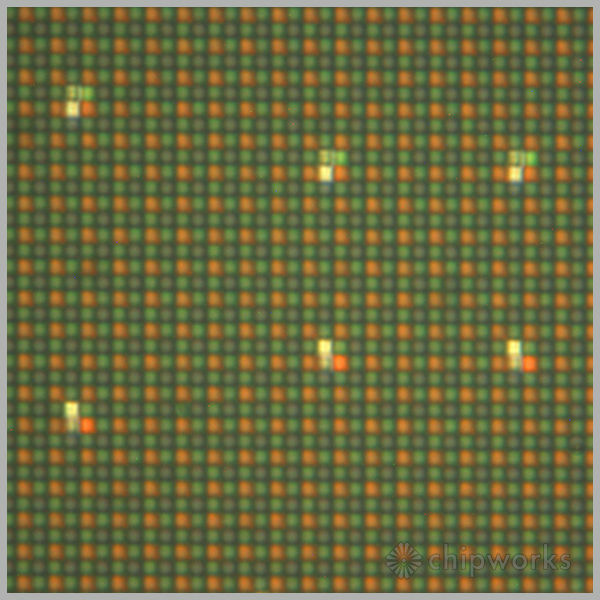 Interestingly enough, Samsung Mobile has elected to forgo a move to RWB color filter array, which replaces the green subpixels of the RGBG Bayer array with clear/white color filters, despite the 3.5dB sensitivity gain promised by Samsung Systems LSI, although it might just be that such a move would entail too much risk from an image processing standpoint at the moment as Bayer color filter arrays are much more mature and well-understood from an image processing standpoint. The units we were able to get a hands-on were sporting Sony's IMX260 image sensor, which might be a Samsung contracted unit. 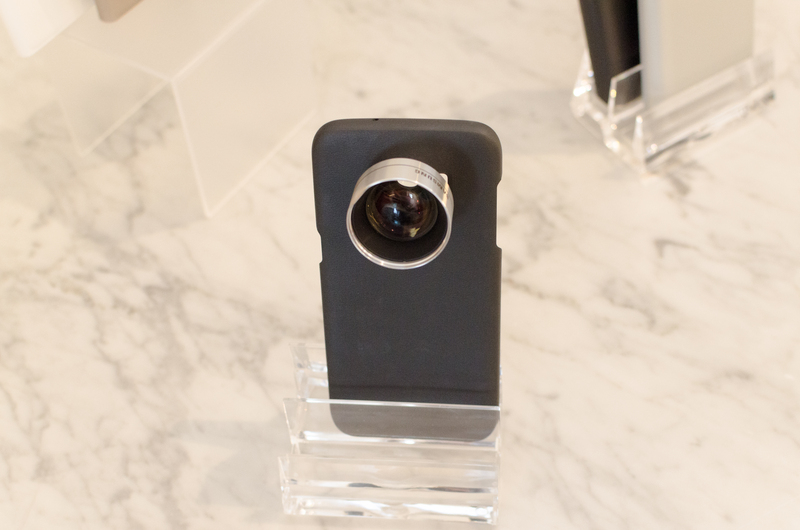 The sensor also incorporates dual pixel technology for dramatically improved PDAF usability. For those that are unfamiliar with how dual pixel PDAF works, in essence this is an extension of PDAF from just a few pixels on the sensor to every pixel on the sensor. At the CMOS image sensor level, in essence a light barrier is set up across each pixel with two photodiodes per pixel to allow for phase difference measurements while combining the output for the two photodiodes when capturing a photo. I suspect that the 1.4 micron pixel size here may not be entirely due to a desire to improve low light performance though, as a smaller pixel split in half may encounter strange quantum effects that affect image quality. As a result, due to the sheer amount of information collected for focus on the sensor, it becomes possible to have the same speed of focus no matter where you tap to focus on the frame, and in low light rather than falling back to contrast detection it remains possible to use phase detection AF up to the limits of what the image sensor is capable of capturing. In my experience while the Galaxy S6 focuses quickly the Galaxy S7 feels like it jumps to the exact focus every time in almost an instant. The other change to the camera is an increase in aperture size from f/1.9 to f/1.7, which should improve low light performance. I’m a bit less effusive here as while increasing aperture size does improve the amount of light captured, there is a lot of potential for distortion to get out of hand here. As the z-height of the sensor is mostly unchanged and the focal length appears to be held relatively constant it will be important to see how resolution/MTF falls off from the center and what sorts of distortions appear towards the edges in our full review. I definitely noticed that detail towards the edges wasn’t nearly as good as the center of the frame, but without a relative comparison it’s hard to say whether or not it was a problem. 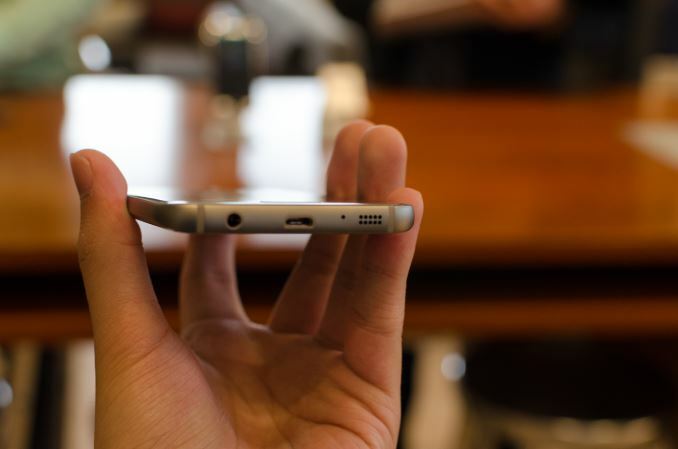 Of course, the Galaxy S7 edge also brings some extra features that set it apart from the Galaxy S7. Rather than a 5.1” 1440p display the display is a 5.5” 1440p edge display. Of course, due to the subpixel layout there will be some noticeable color shifting that results on the edges of the display but this isn’t anything that wasn’t noticeable in the Galaxy S6 edge. Whether any of these OLED displays have changes in emitter chemistry, display driver IC, or TFT backplane configuration is hard to say at this time. The Galaxy S7 edge also gains a much larger battery at 13.86 WHr which should make for a significant boost in battery life over the Galaxy S7, but at the cost of more weight and a larger device. There are also some changes to the edge features that allow for more useful information to be displayed like news and weather, but I suspect the main draw here is going to just be the neat aesthetic that comes from the edge display. 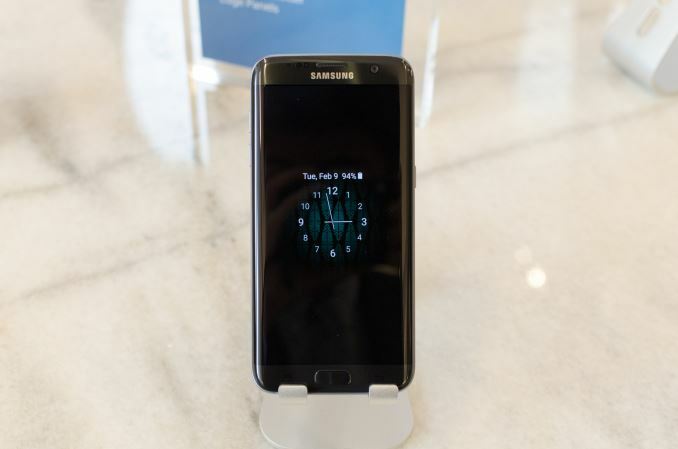 Along the same lines of the edge display, Samsung is adding extra software features like Always-On Display, which allows for display of simple things like a wallpaper, clock, or calendar along with notifications even when the phone is locked. This appears to run off of a very low power microcontroller of some sort, as the main application processor remains in sleep mode, and the only other work being done to enable this feature is a check to the proximity sensor to disable the display if something is covering it and the ambient light sensor to make sure to set brightness appropriately. The average picture level of these modes are very low as well so functionally speaking the power consumption of this feature is relatively low. The other feature that was worth mentioning was game mode, which provides a floating button and various options like disabling notification alerts, capacitive keys, along with the ability to minimize the game without losing state and the ability to screenshot or record gameplay. This is a relatively low-key feature, but it’s nice to see nonetheless. 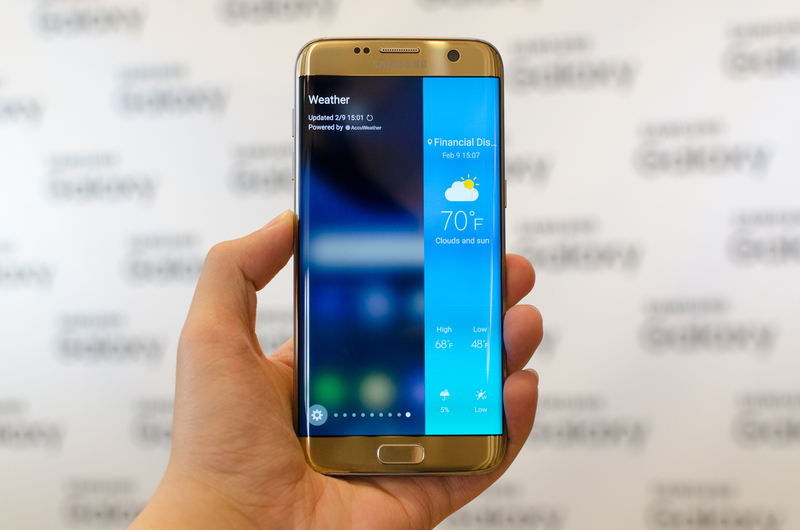 Subjectively, although software isn’t 100% complete the Galaxy S7 felt relatively smooth, but there were some noticeable hitches here and there which could suggest that there’s still some need to optimize TouchWiz/Samsung UX for lower touch latency and fewer resource-intensive operations relative to AOSP/GPe/Nexus Android. 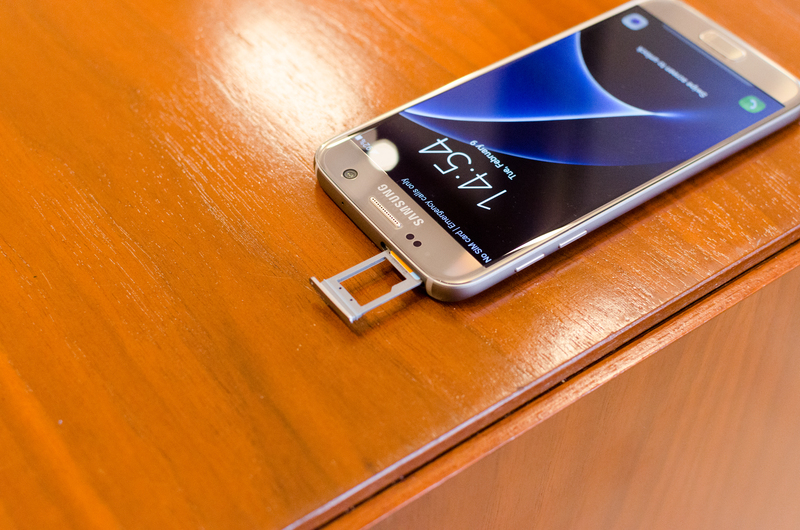 Finally, Samsung is also introducing a number of neat accessories for the Galaxy S7 and S7 edge that include interchangeable lenses mounted to a case and an extended battery that charges the device with wireless charging. I’m not sure whether these will be commonly available, but they were interesting nonetheless. 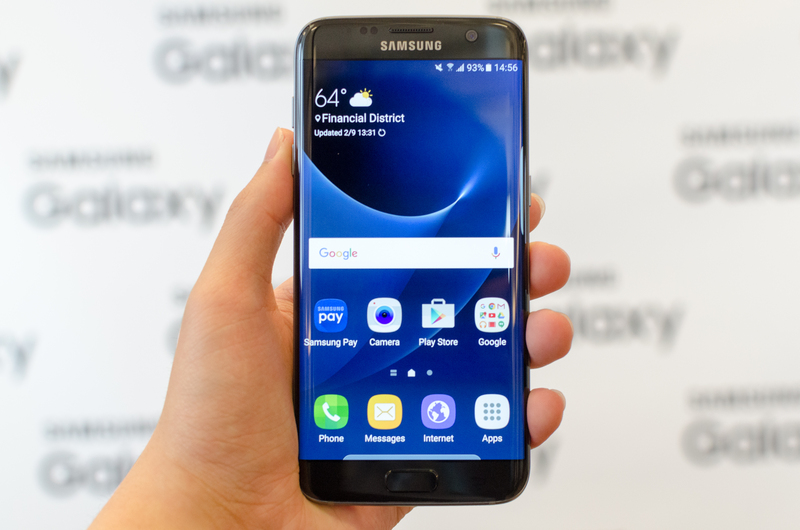 Overall, the Galaxy S7 fixes many of the issues that consumers had with the Galaxy S6, while continuing to improve upon the strengths that it had. I’m definitely happy to see that Samsung has kept some sanity with regard to screen size, and I look forward to seeing how it stacks up against the competition. 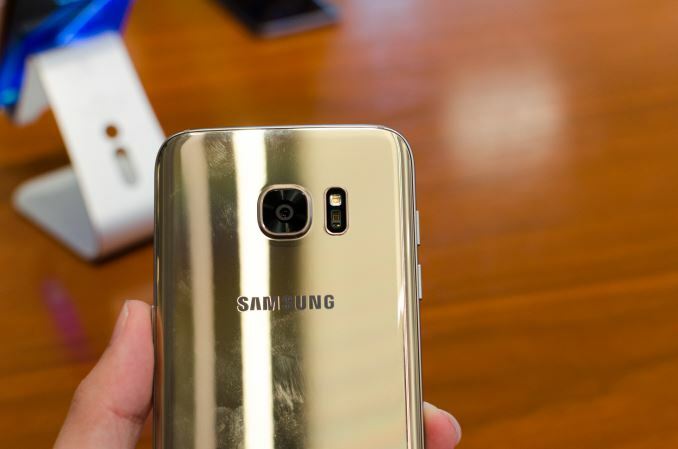 The Galaxy S7 will be available in Black Onyx and Gold Platinum. The Galaxy S7 edge has the same colors as the Galaxy S7, but also adds Silver Titanium. Both models at launch will only have a 32GB storage SKU. In the US, pre-orders will begin 8AM EST on February 23 2016 and the device will go on sale beginning March 11 2016 for AT&T, Sprint, T-Mobile USA, US Cellular, and Verizon. Within the US, those that buy a Galaxy S7 or S7 edge between February 23 and March 18 will also receive a Gear VR and a 6 game bundle while supplies last. For T-Mobile USA, those that pre-order will also receive a year subscription of Netflix. Dang...I thought as some rumors say the sensor size will be at least 1/2.0...oh well. 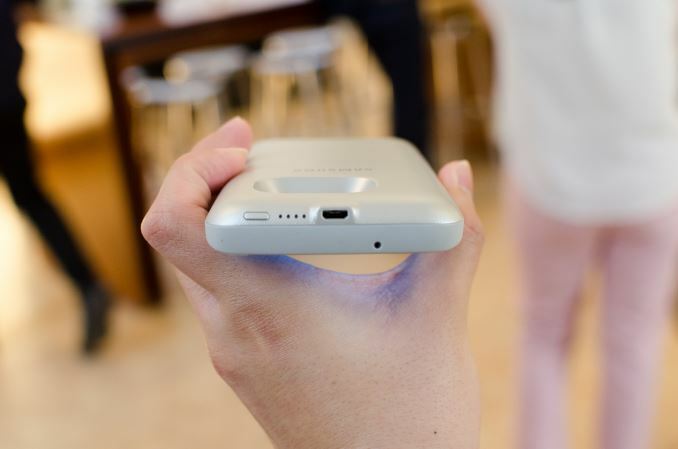 Really curious what sensor Samsung is using if its a made isocell or a custom Sony. Maybe well see on the Note 6. On the other hand, anything less than 1:1 is wasting lens resolution regardless of camera class. So yeah, 4:3 is practical. It also allows for efficient full-screen document shots without need to crop out edges, which is important for a 12mp camera.